- 78C-8400 - Model size: 6’1 / 185 lbs. 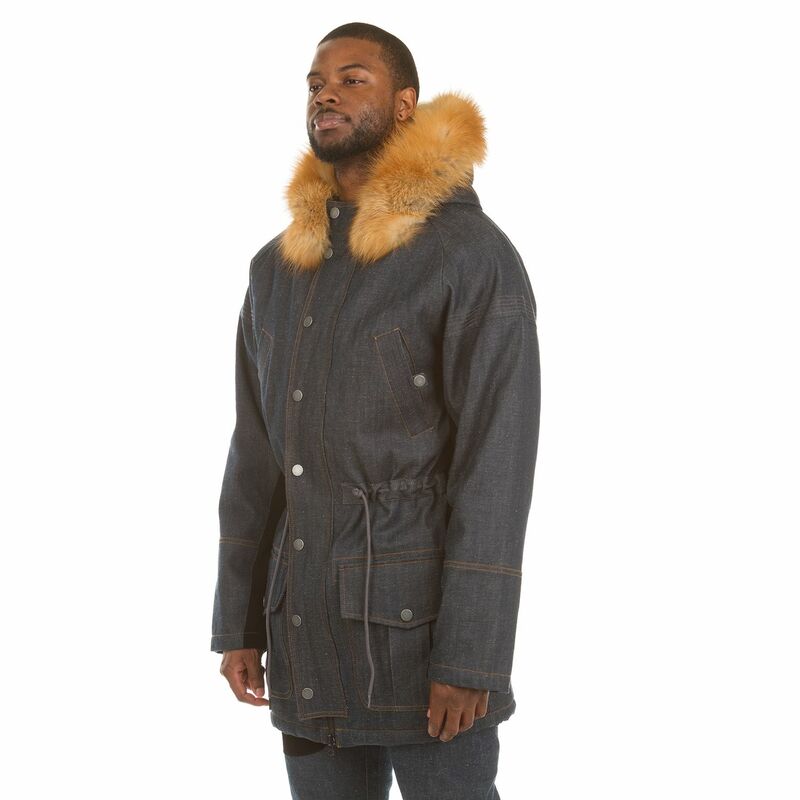 - Denim - Parker is made to make you feel like you are the center of attention. 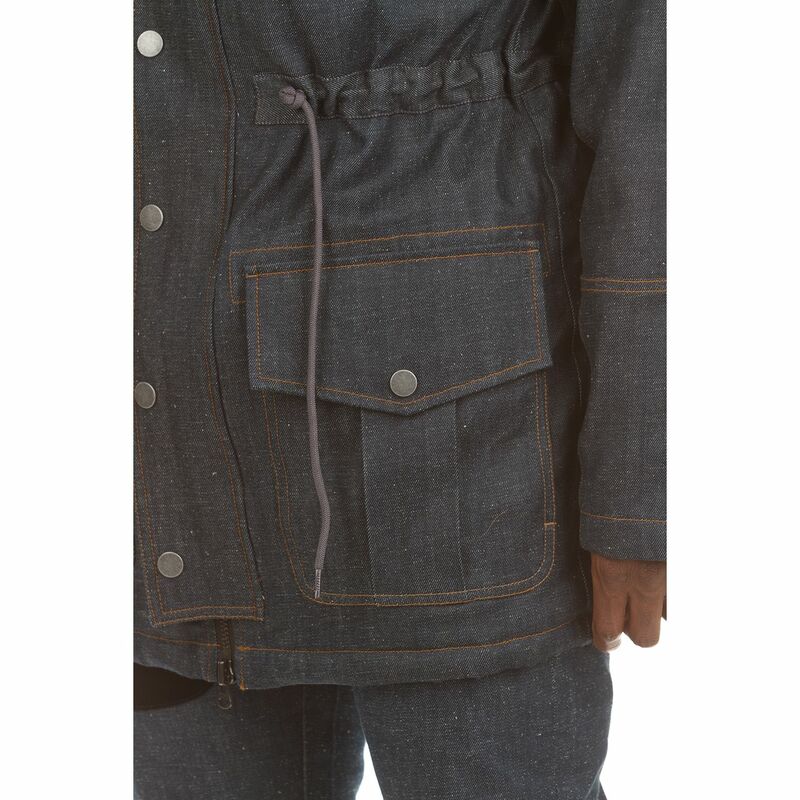 Cut from a premium raw denim , this jacket features multiple hand pockets at the upper chest to the inner nylon zippered pocket. 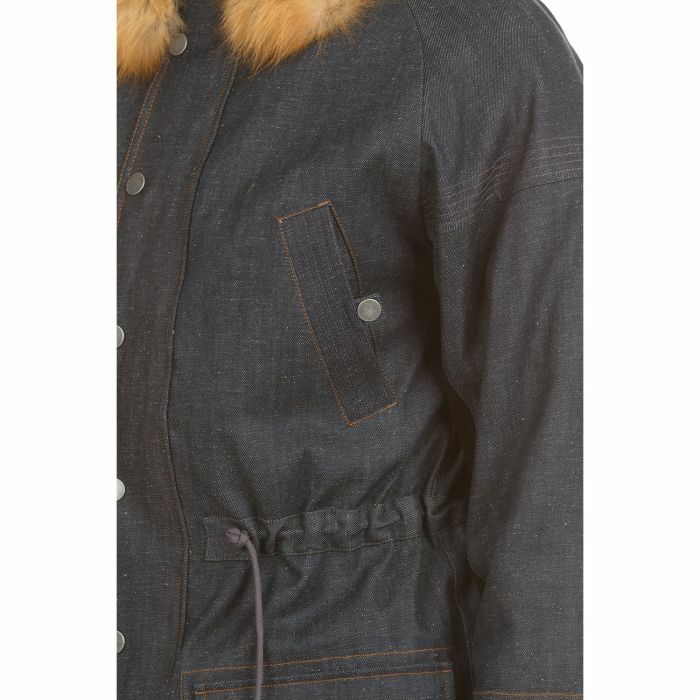 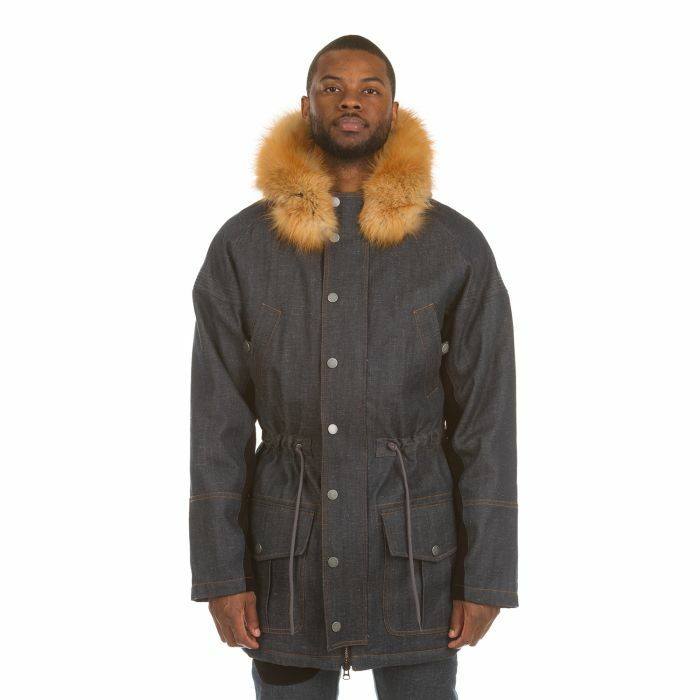 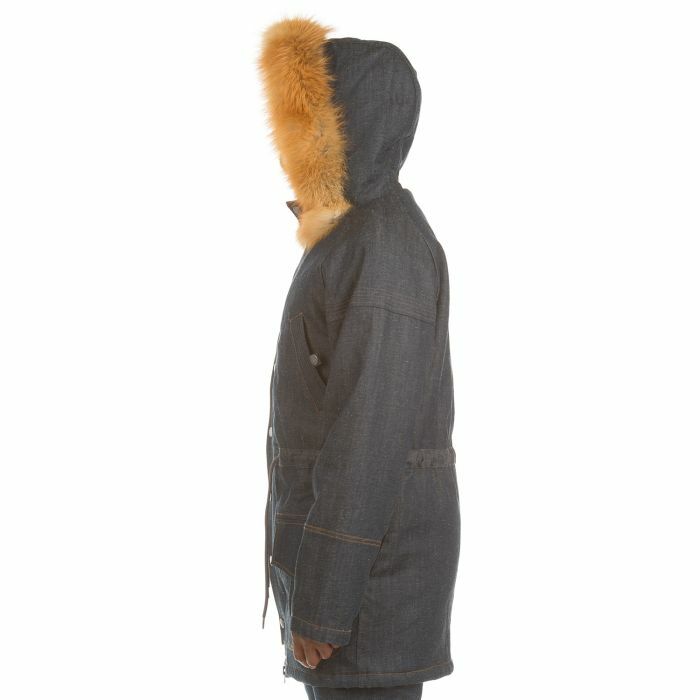 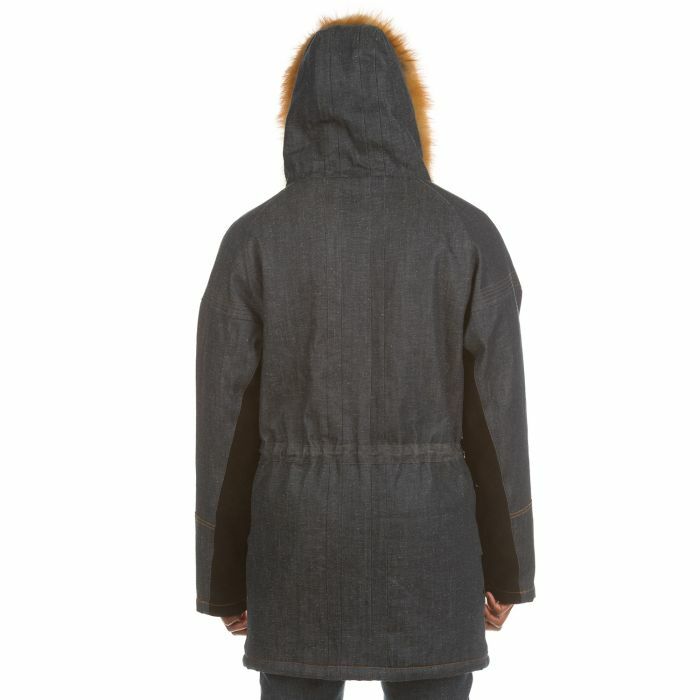 Its standout feature however is its fur collar and inner lining. 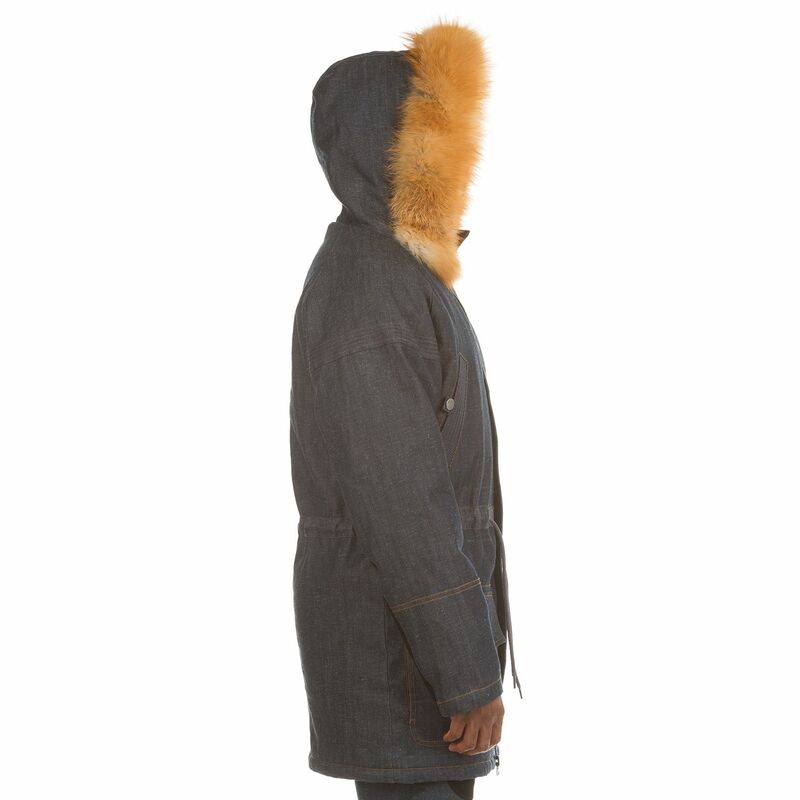 Made from premium fur the hood gives a dynamic presentation when worn up or down. 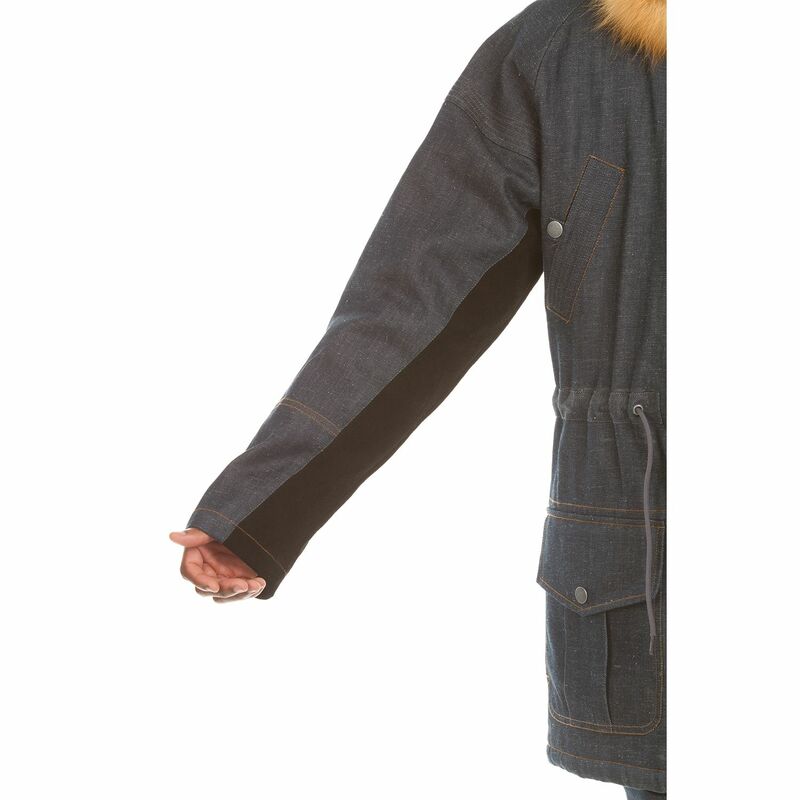 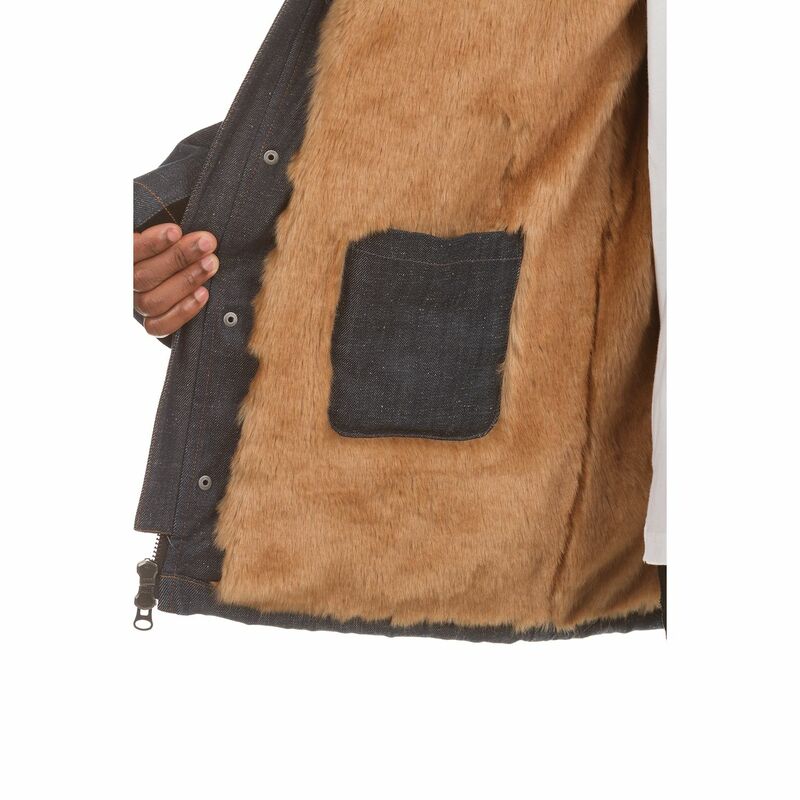 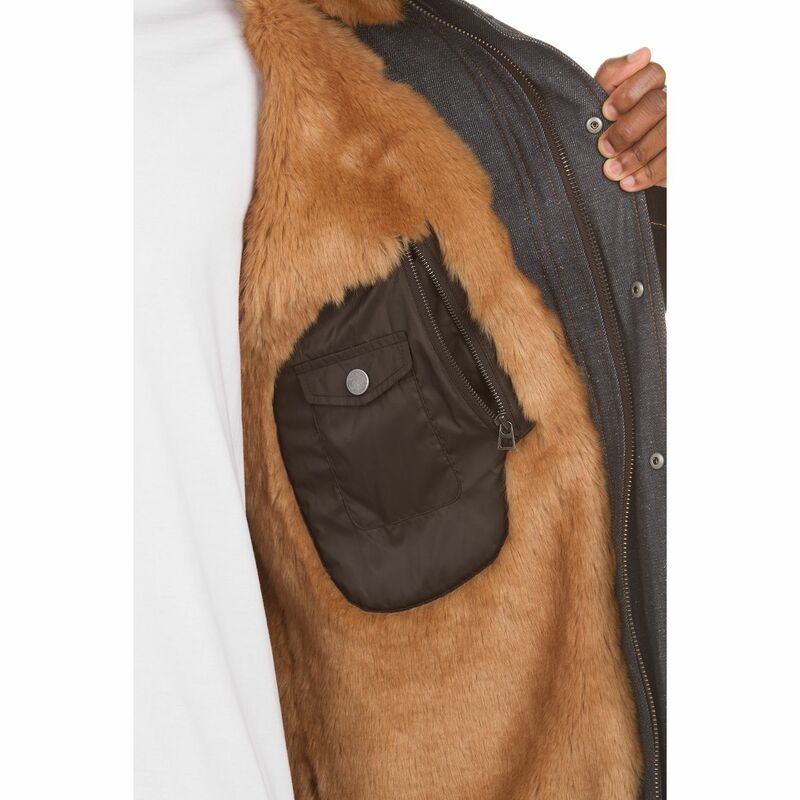 The inner lining made from a quality faux fur to reduce shedding will keep you warm all night. 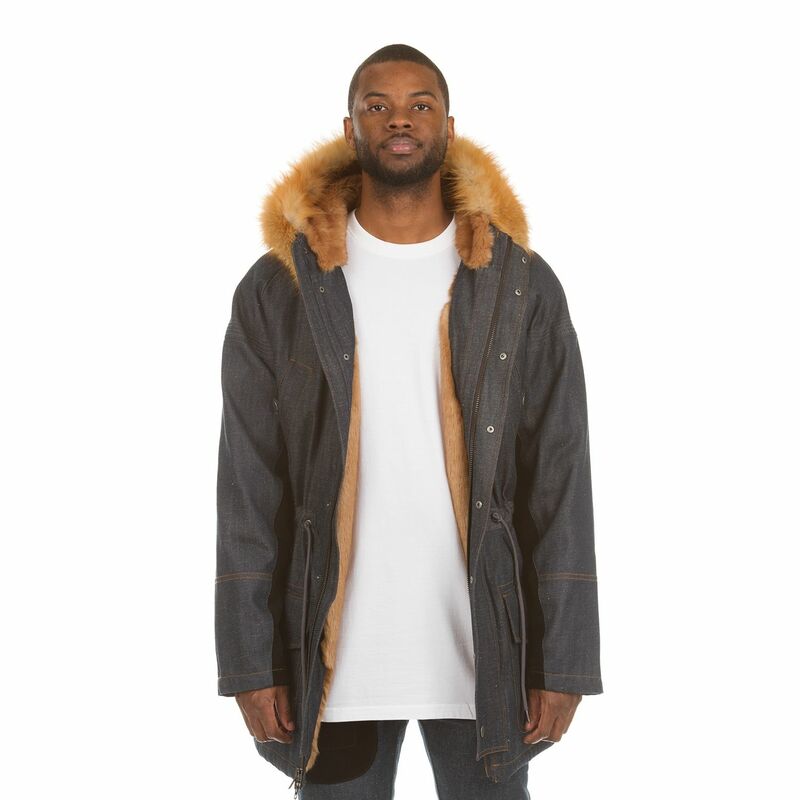 -The jacket features a dual front closure, zipper or snap along with adjustable drawstring for a closer fit in the waist/body.